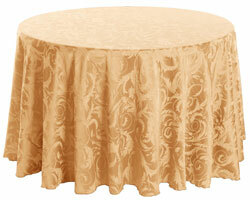 Combining magnificent look with excellent durability, Damask Table Linens are easily the most sensible buying option when it comes to bulk-rated décor supplies. 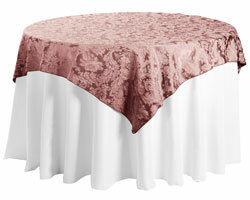 The damask fabric style is contemporary and does justice to most types of event. From the beautiful Econoline Damask Table Linens to Miranda Linens range, we have everything it takes to groom party halls into something stunning. Choose from an expanding range of Table Linen that is available at wholesale rates, ensuring you get multiple options in colors and sizes. 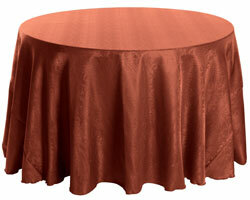 Made from high-grade Damask material, these decorative Table Linens are easy to wash and iron. This beautiful Damask Table Linen Collection features Econoline Damask Table Linens, Snake Skin Damask Linens, Somerset linens, Melrose Linens and Miranda Linens that infuse life into any party table. Now, a favorite among banquet hall managers and event planners, Damask Table Linens are quickly becoming the staple choice for professional hosting environments!